This beautiful multi bar necklace is made of solid sterling silver. Choose from one bar or multiple bars with your choice of text. 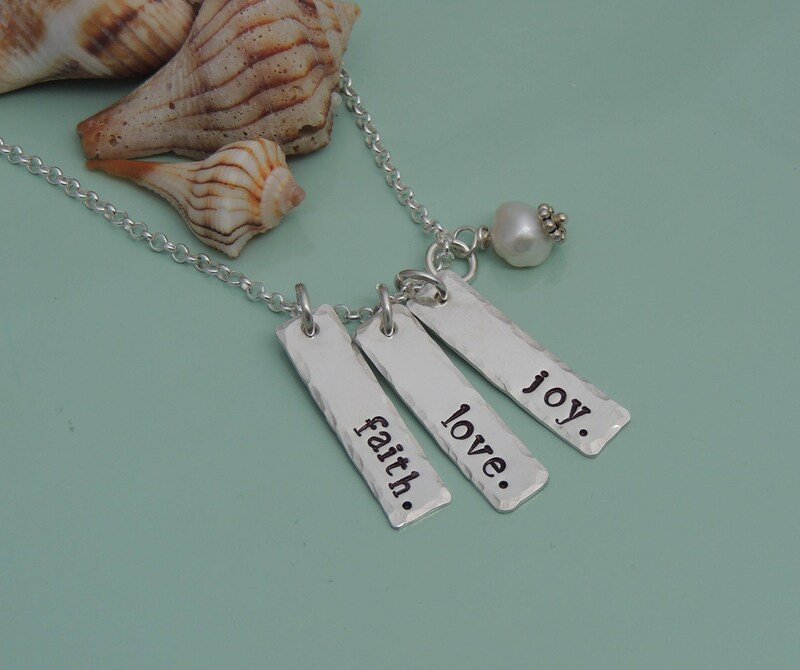 Also included is your choice of a freshwater pearl drop. 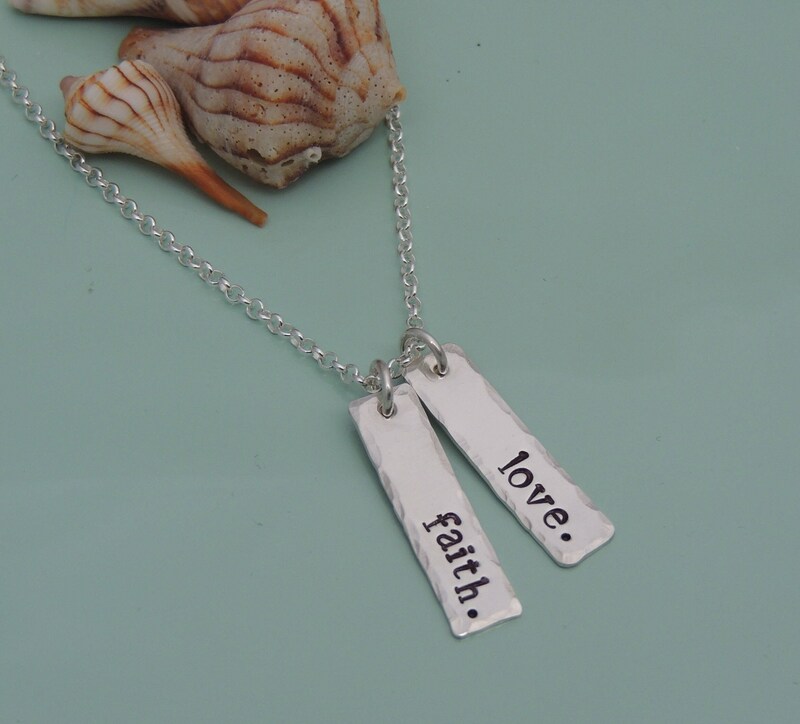 The necklace is made of solid sterling silver. 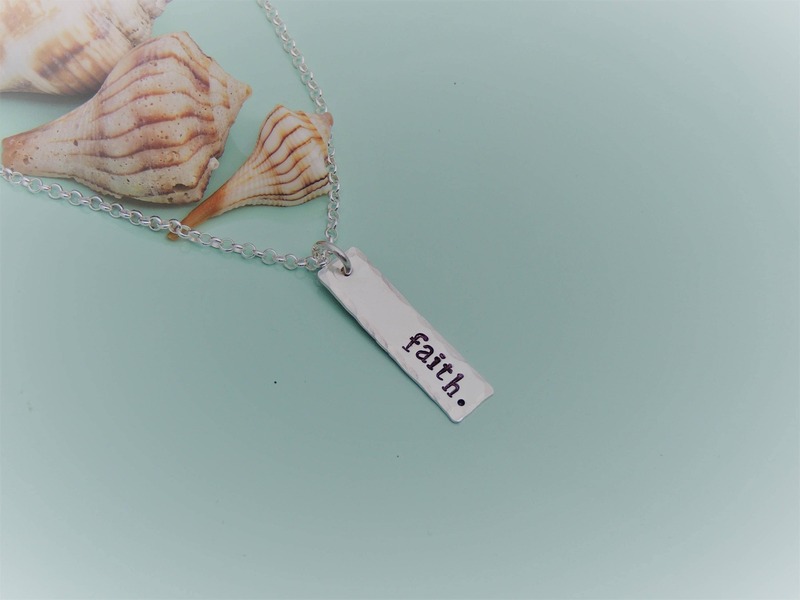 The horizontal bars measure 1/4" x 1" and are made of thick sterling silver. 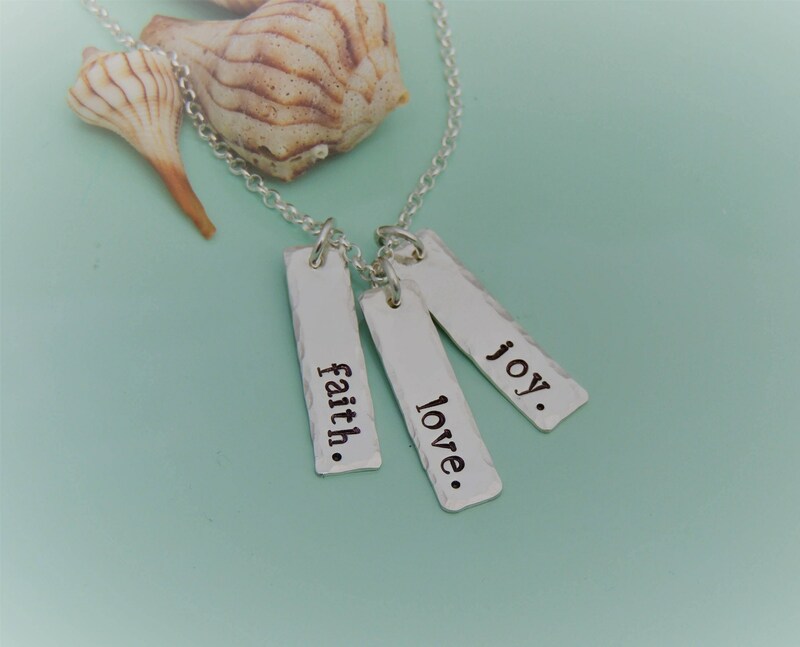 * This necklace is also available in yellow gold filled or rose gold filled. Please message me for info. 1. Choose the amount of bars you would like from the first drop down menu. 3. 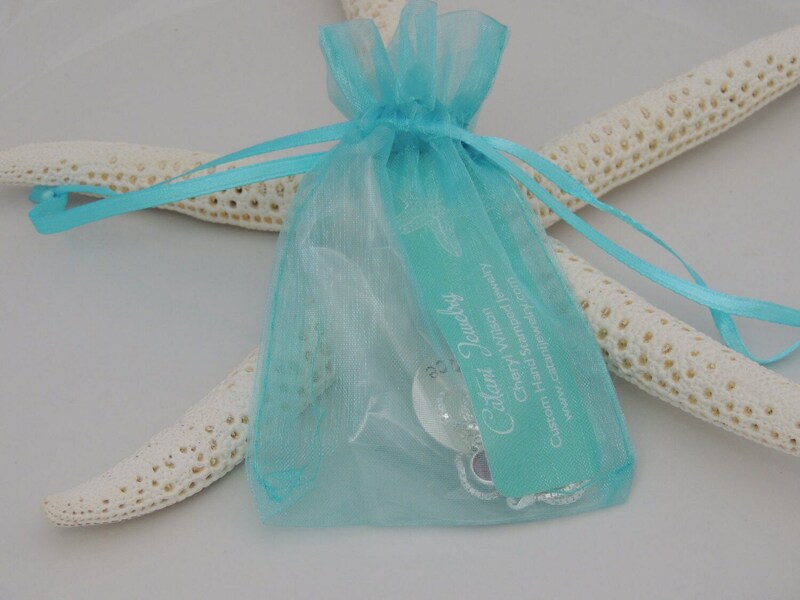 Please leave me a comment in the "notes to seller" section at checkout with the text you would like hand stamped. I am able to stamp a max of 10 characters on each bar.